Click Window key and type gpedit.msc, then press the Enter key. This launches the Local Group Policy Editor. Navigate to Local Computer Policy > Computer Configuration > Administrative Templates > System > Filesystem > NTFS. Double click Short name creation options. 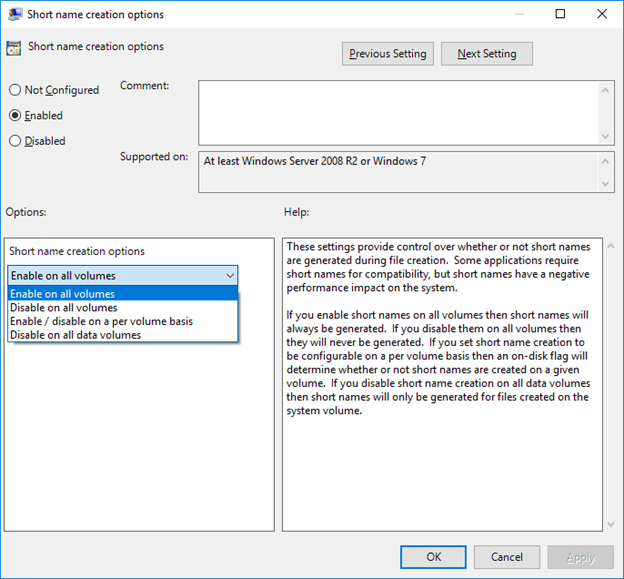 Select Options > Enable on all volumes, then click OK.